UK Board 12th Result 2018 Live: The intermediate examination was held between March 5 to March 24, 2018. 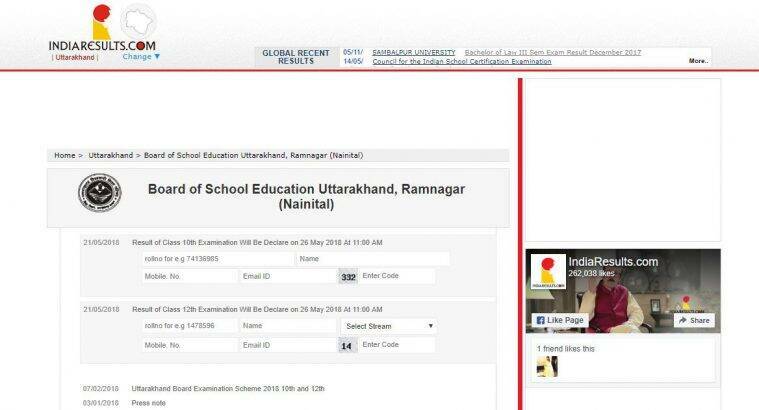 UK Board 12th Result 2018 Live: At 11 am, the result of Class 12th examination has been declared by the Uttarakhand Board of Secondary Education (UBSE) and Education Minister today, on May 26. The results are available at the official websites, uaresults.nic.in, ubse.uk.gov.in. In the Class 12th exams, the pass percentage is 78.97 per cent with boys scoring 75.03 per cent and girls are at 82.83 per cent. This year’s topper sis Divyanshi Raj who scored 98.4 per cent. The intermediate examination was held between March 5 to March 24, 2018. This year, a total of 1,49,468 students had appeared for the HSC exam, and 1,32,371 for the SSC exams. Last year, the results were declared on May 25. The pass percentage for both the classes, class 10 and 12 has not improved in the last many years. It has been lingering between 70 per cent to 75 per cent. The education department has made several efforts to improve the numbers but all the struggle goes in vain. The Uttarakhand Board had set up 1,309 examination centres in the state and 230 were identified as “sensitive” due to some reasons. These were in Nainital, Chamoli and Haridwar districts of the hill state, officials said. There are more than 17,000 government schools across all 13 districts in Uttarakhand. School Education Minister Arvind Pandey (second from left) releases results at School Education headquarters in Dehradun. Kajal Prajapati, of Khatima Uddhamsingh Nagar, tops Class 10 with 98.40 per cent. In Class 10, a total of 146166 students appeared for their matric exams of which 74.57 per cent passed. The girls have this year too outperformed boys by scoring 80 per cent, while only 68.96 per cent boys passed the Class 10 exams. In the Class 12th exams, the pass percentage is 78.97 per cent with boys scoring 75.03 per cent and girls are at 82.83 per cent. This year's topper sis Divyanshi Raj who scored 98.4 per cent. IN the Inter exams, 0.08 per cent pass marks increased. The UBSE officials have declared the result. The overall pass percent is 78.97 per cent. Last year it was 78.89 per cent. 1.03 lakh students passed. this year. Girls 82.83 per cent girls passed. Neeta Tiwari, Secretary Uttarakhand Board of School Education (UBSE), would declare the Class 10 and 12 results at the Board's headquarters at Ramnagar in Nainital district. While 1, 49,486 students registered for the Class 10 exam this year, 1,32,371 students enrolled for the Class 12 exam. In the year 2017, about 1,31,190 students were enrolled in Uttarakhand's Class XII examination and 1,03,505 students passed. These examinations were held between March 17 and April 10. In this, 78.89 percent of the students had passed. Where the pass percentage of girls 87.07 percent of boys was 75.56 percent. 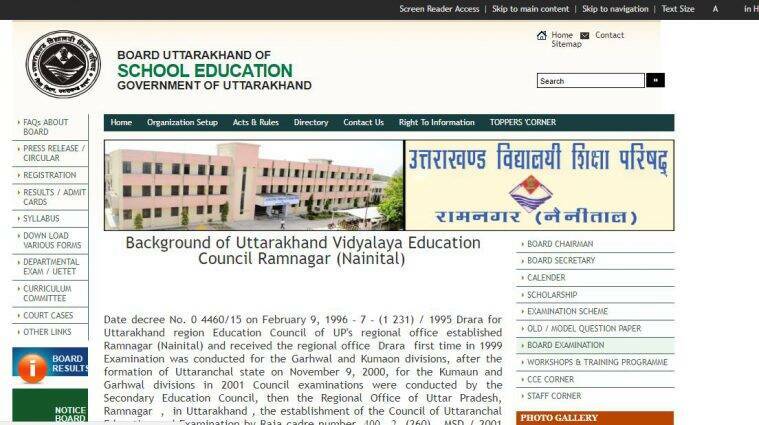 In another half an hour, result of Uttarakhand Board Class 10 examination will be released. Students should be ready with their admit cards/hall tickets to view their scores online. The UK Board results will be released at the official headquarters of the board situated at Ramnagar, Nainital. The Board can be contacted by the students on 05947-254275 in case of any query. They can also email at secy-ubse-uk@nic.in for the same purpose. The result will also be available through app. The students can check the results through it, by downloading it from the google play store. To get the results, the students have to pre-register their roll number. A total of 1,309 examination centres were set up by the school education centre in the state of Uttarakhand, out of which 23 centres were declared sensitive. Majority of such centres were in Nainital, Chamoli and Haridwar. A major concern for the Board is the pass percentage of the students who write the exams. The pass percentage for both the classes, class 10 and 12 has not improved in the last many years. It has been lingering between 70 per cent to 75 per cent. The education department has made several efforts to improve the numbers but all the struggle goes in vain. After the results are announced, students who had appeared for the same will be able to check their results at the official websites - uaresults.nic.in and ubse.uk.gov.in. In case due to heavy traffic one is not able to open these websites, he/she may also check their respective scores at other websites such as examresults.net, indiaresults.com. 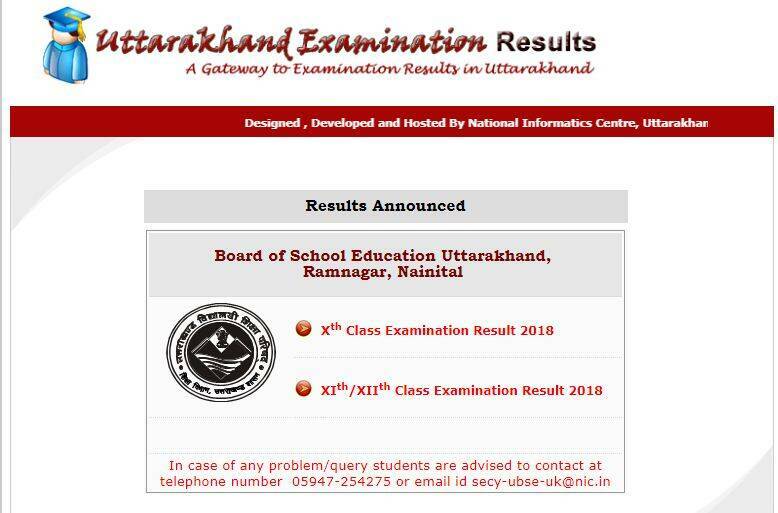 The Uttarakhand Board of Secondary Education (UBSE) will be declaring the result for Class 12 examination at 11 am today. 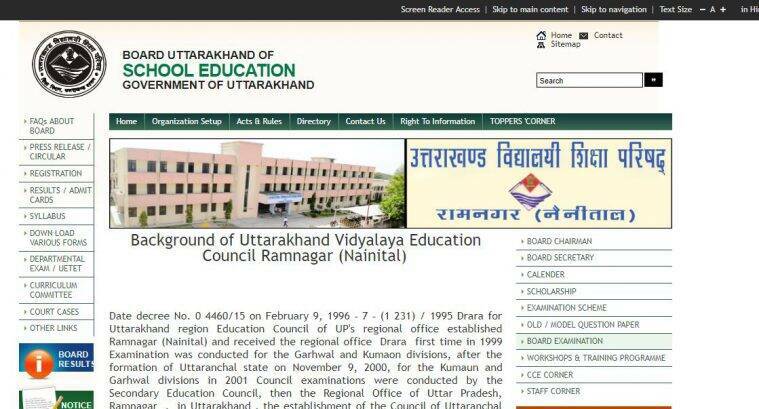 The Uttarakhand Board is responsible for conducting examinations for the students of class 10 and 12. It is responsible for prescribing courses of instructions and textbooks and conducting examinations for secondary school students in Uttarakhand. 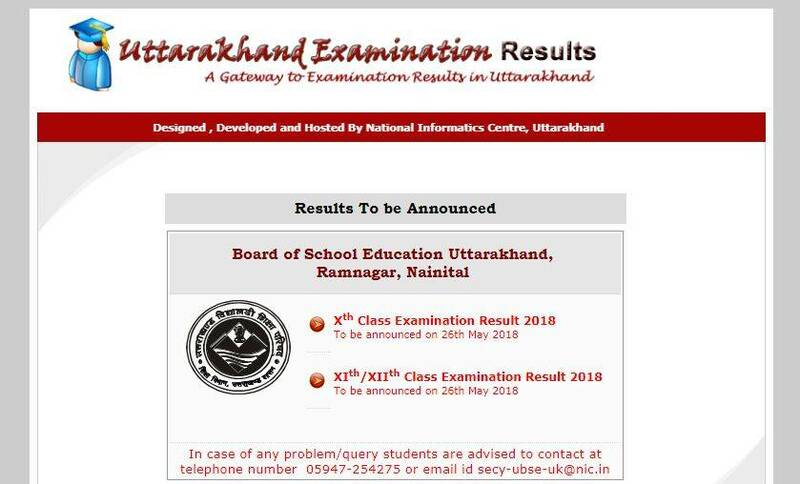 The result of Class 12th examination will be declared by the Uttarakhand Board of Secondary Education (UBSE) today, on May 26. The results will be available at the official websites, uaresults.nic.in, ubse.uk.gov.in. The intermediate examintions were held between March 5 to March 24, 2018.